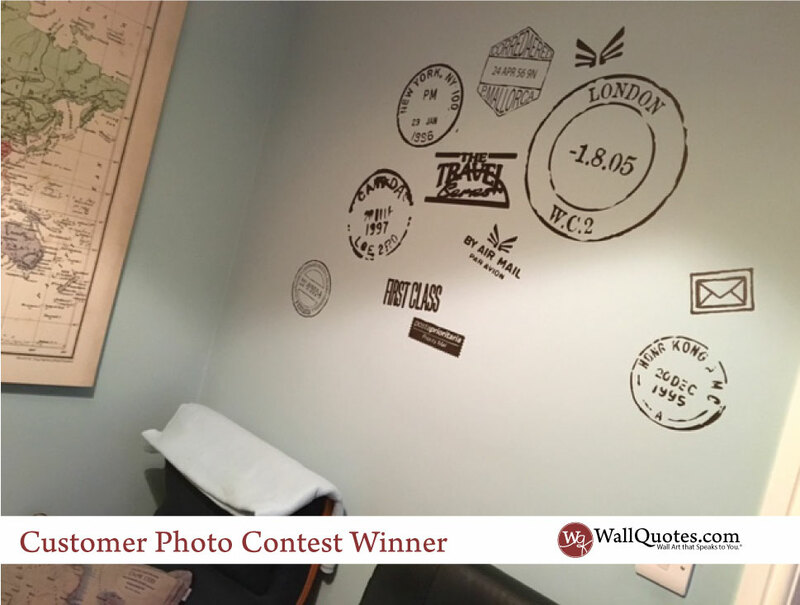 Kate sent us a photo of her new Wall Quotes™ decal - The Travel Series Postmark. She says: "Thank you!! How easy were these to apply and how much have they made the room! This is my son's new "man cave " where he keeps the gaming consoles. The theme is just to remind him there is a world waiting outside!!" We think it looks fantastic!!! She ordered the 30" x 35" size in Chocolate (doesn't it pair nicely with the tan tones in the map and pillow?) And it's the perfect size for this space. Great choice, Kate!